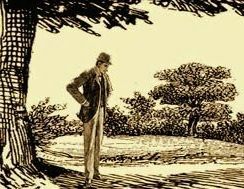 The eBSJ Version 2 PDF archive provides a complete set of The Baker Street Journal from its inception in 1946 through 2011 on a single DVD in PDF format. With 276 issues and more than 18,000 pages spanning all of the Old Series, the Christmas Annuals, and the New Series through 2011, you won’t find a more comprehensive set of writings about Sherlock Holmes and Sir Arthur Conan Doyle anywhere else. The eBSJ PDF archive contains the full content of each issue, including text, illustrations, and advertisements. Using Adobe Reader or similar software you can copy-and-paste for note-taking from these issues. Besides being text-searchable, the set comes with subject-author-title indexes by Donald Redmond for 1946-1993. To help with your research, and give you a sense of the breadth of material in the BSJ, we’ve also made those BSJ Indexes available as free downloads. What is the eBSJ v2? 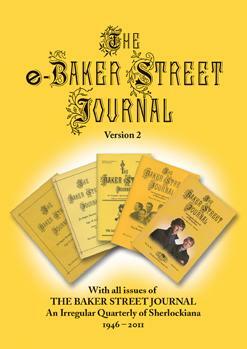 The eBSJ version 2 is a digital PDF archive of all issues of The Baker Street Journal from 1946 through 2011, and is published on a single DVD. What do I need to view/use the eBSJ? You need PDF-viewing software such as the free Adobe Reader or Apple Preview in order to use the eBSJ files. Many tablets are also able to display PDF files. The files are on a DVD, so you need a DVD drive to access them. Can I read eBSJ issues on an iPad or other tablet? You can read the eBSJ on many tablets, but the reading experience will depend on your screen size, your software, and your eyesight. You can try it yourself by downloading our eBSJ sample issue extract (PDF) file. Can I read eBSJ issues on a Kindle or other e-reader? Usability and readability is typically better on larger screens. Your reading experience will depend on your screen size, software, and eyesight. You can try it on your Kindle/e-reader by downloading our eBSJ sample issue extract (PDF) file. We also have some e-reader Tips at the end of our extended set of More eBSJ FAQs (PDF). See our extended set of More eBSJ Frequently Asked Questions (PDF). You can also find tips about using the eBSJ v2 and other information on the Best of Sherlock Holmes eBSJ page. Don’t miss any of the new issues. Subscribe to the BSJ today!